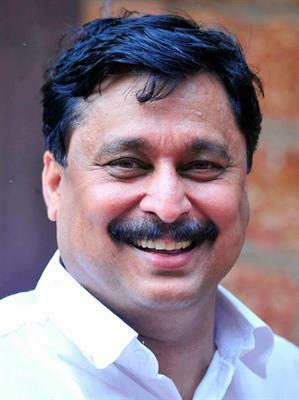 V. Abdurahman Ponnani LDF candidate 2014 profile and biography is given here. Shri. V. Abdurahman who hails from Thirur has served as a Municipal Councilor in Tirur Municipality for 15 years. After working with the Indian National Congress for two decades, he quit the party and supported the CPI (M) for its secular thoughts. Read more to know about V. Abdurahman Ponnani. V. Abdurahman born at Thirur in Malappuram district started his public life through student movement. For his active presence in social work, V. Abdurahman was given ample opportunity to serve the common people. After showing his skill as a student leader, he kept his face clean giving his best to the public. V. Abdurahman served as a Municipal Councilor in Tirur Municipality for 15 years. He held various positions including PCC executive committee member and former vice-chairman position in Tirur Municipal Council. During his political career, due to some unavoidable reasons V. Abdurahman left the Congress party a couple of months ago. As he got humiliated by the Indian Union Muslim League (IUML), he decided to support the CPI (M) for its secular thoughts. In 2014 V Abdurahman will contest the election from the Ponnani Lok Sabha constituency as CPI (M)-supported independent candidate. V Abdurahman gave his whole hearted support and relentless effort which brought the Malayalam University came into existence in Malappuram. As the former vice chairman of the Ponnani municipality, at Ponnani in Malappuram, the stronghold of the Indian Union Muslim League (IUML), V Abdurahman is gearing up to take on the IUML nominee ET Muhammed Basheer who won the 2009 election with a margin of more than 50000 votes. V Abdul Rahman is eyeing a seat while keeping progressive plans for the development of the constituency. His primary concern would be to bring programmes and policies to give water facilities at Ponnani and Thirur. Prime importance will be given establishing a plant for waste management. An innovative method will be introduced to keep the Thirur Ponnani river free from disposals. He has plans to bring changes in the railway system while modernization to Devadhar Govt. School which was established in 1920. V Abdul Rahman who has experience in bringing novelty in the Ponnani municipality dreams to introduce a system which would connect the villages and towns. He is looking forward to change the lifestyle of the common people of Ponnani who wish to move forward with the living world. V Abdul Rahman would contest the election giving a tough competition to his arch rivals who represent the UDF, BJP and AAP.